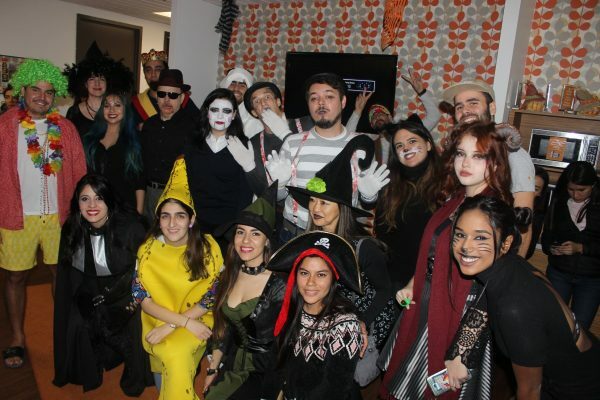 Happy Halloween from the EC Montreal Family! 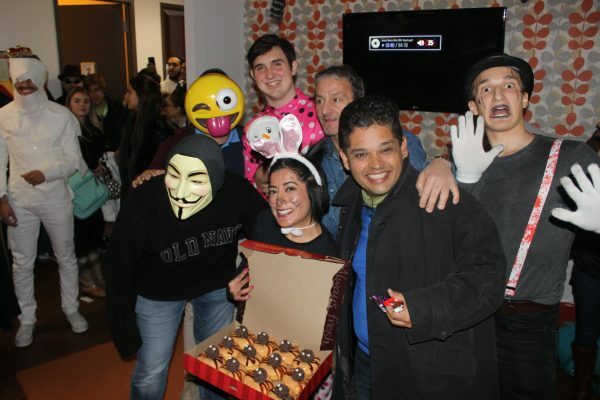 We celebrated Halloween at EC Montreal today! All staff and students were asked to come dressed up in a costume. We had a classroom competition to see which class had the most costumes. The EC Montreal administrative team went around to all the classes to wish our students a Happy Halloween and to distribute candy! We also took this time to judge the winners of our competition. The winning class would receive a pizza lunch as a prize! 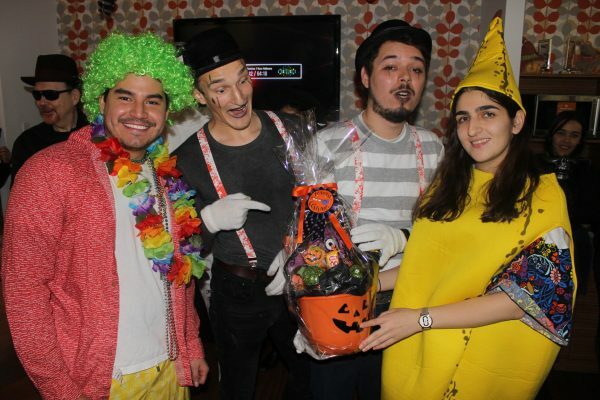 In addition, EC Montreal held its annual Halloween party and fashion show! We had prizes for the best student costumes and best teacher costume. 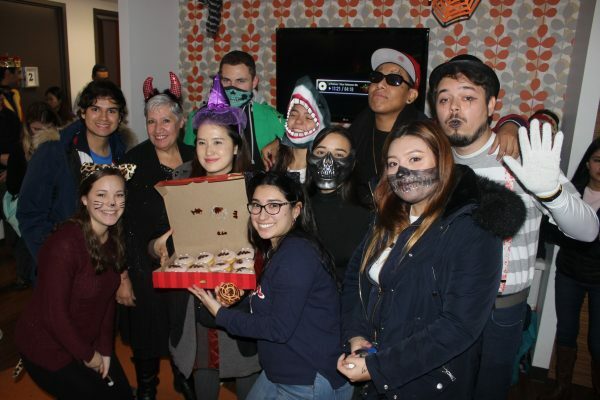 We served some festive refreshments and got everyone into the Halloween spirit! Our winning teacher was Fred who dressed up like “a guy you can count on”. After the party, we surprised the winning class with their pizzas! Every single student in the class, including the teacher was wearing a costume! Congratulations to Fred’s class! Thank you for getting into the Halloween spirit and for making today so much more fun! We hope you enjoyed your winning pizza!! Djamel’s class came in 2nd place, so they were awarded with a box of donuts. Clelia’s class was a close 3rd, so we had to give them a prize as well! Although Pooria only has 2 students, they both dressed up and also had 100% participation! They got a small prize as well. 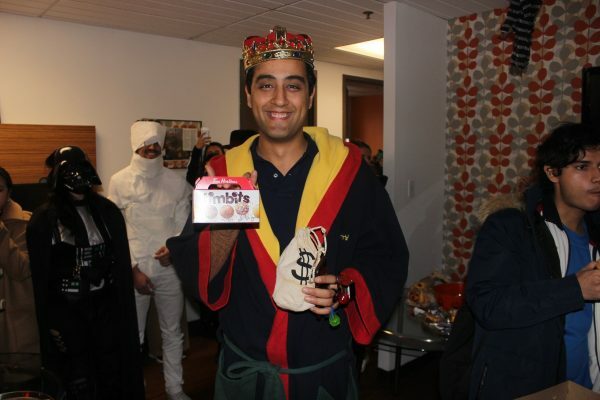 After the catwalk, we gave out prizes to the scariest, funniest and best overall costume. Congratulations to all the winners and to everyone who came to school with a great Halloween spirit! 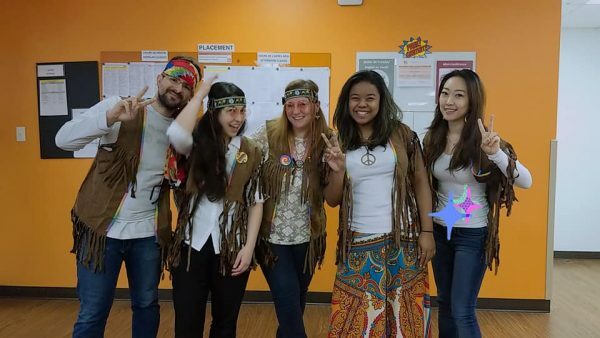 The EC Montreal administrative team dressed up like hippies! We had tons of fun all day long with our staff and students wishing everyone “peace and love”. 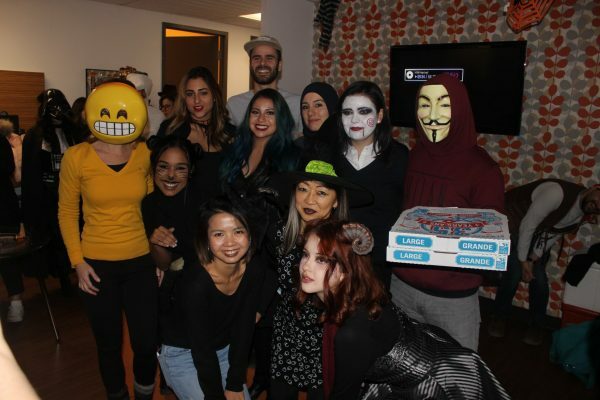 Happy Halloween from our EC Montreal family! Come learn English and French classes in Montreal and be part of the fun!